KAMPALA – The Prime minister and leader of Government, Dr Ruhakana Rugunda has said Parliament could not hold a special sitting for the fallen former Attorney general, Peter Nyombi as earlier reported in the media. “As government we here to appreciate our dear brother Nyombi for his hard work, we really thank him for being exemplary when he was executing his duties,” Rugunda made the revelation during an interview with journalists Wednesday afternoon. Rugunda said that it’s unfortunate that the demise has happened at a time when Parliament is in recess and pledged that when the House resumes sitting on November 6, Parliament will hold the session in honour of his contribution. Rugunda that it was not Parliament’s intention to deny special sitting for Nyombi but it’s in recess. “Government decided with Parliament to bring his body here to lie in state to enable those who are in Kampala have an opportunity to pay their tribute to him,” he said. In attendance, were dignitaries such as Daudi Migereko, Tarsis Kabwegere, and David Woikona among others. Those who accompanied the Prime Minister, Ruhakana Rugunda included Minister for Kampala, Betty Kamya, Government Chief Whip, Ruth Nankabirwa and Parliament Commissioner, Peter Ogwang. When contacted Government Chief Whip, Ruth Nakabirwa, described the late as a very trusted, committed person who worked for government even when he was abused, he never fought back. “His death is a loss to us because he did his work well and we shall miss him greatly,” Nakabirwa said. Leader of Opposition in Parliament, Betty Aol Ochan also said that it was very strange that a person of great importance like Nyombi did not get a special sitting. Aol further explained that this is one of the reasons Parliament needs to benchmark from Israel that has more than ten speakers. “I have not been following the late much but I think he deserved a special sitting. He did good work as a legislator,” Aol emphasized. 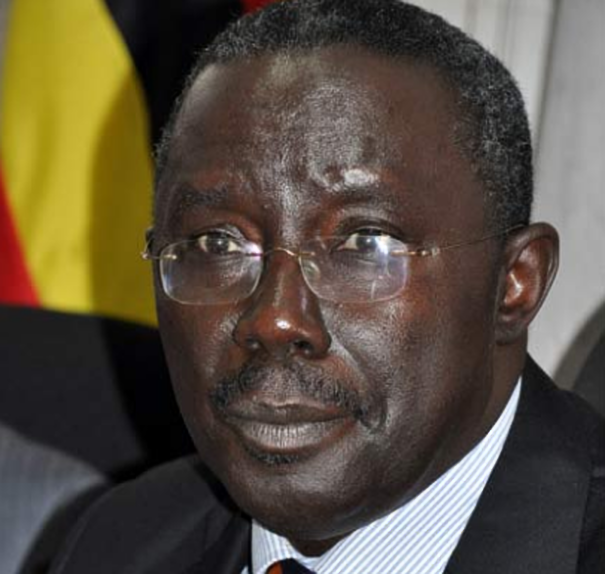 The former Attorney General breathed his last on Sunday after losing the battle to heart failure.